Happy 10th Anniversary to Prints! In celebration of Prints’ anniversary, we are doing a very special “cake” using Prints products. 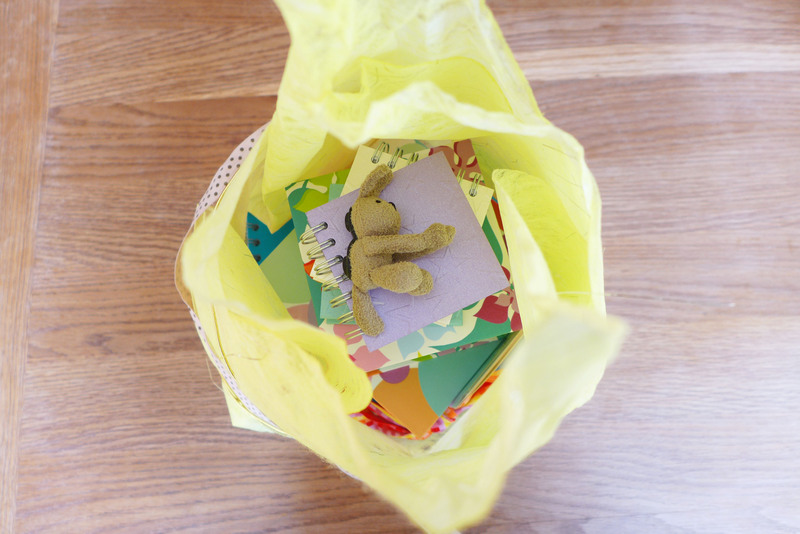 Diaper cakes are popular at baby showers these days, but have you ever considered making a stationeries cake for a birthday party? Prints products are so colorful and neat. 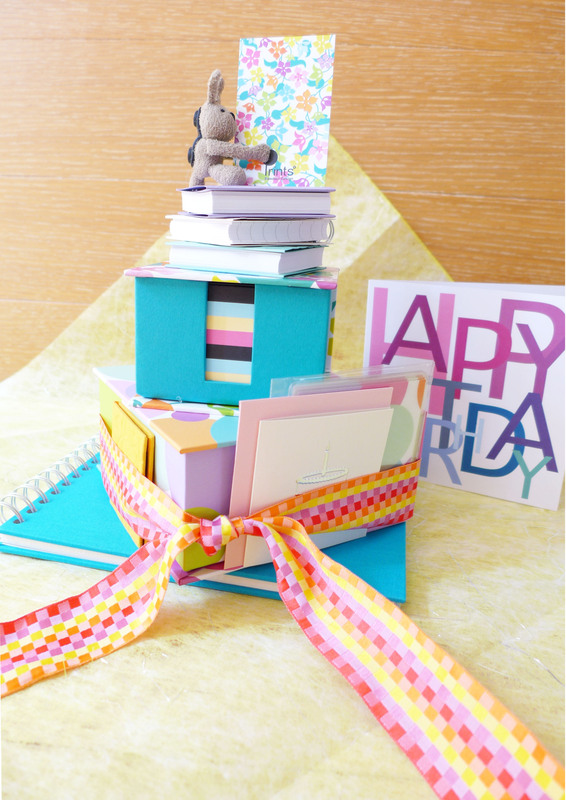 This 3-layer stationary cake is beautiful to look at, it is practical, and is certainly a delight to receive! Prints carries a variety of products in many designs, so you can use your creativity to mix and match to build your perfect goodies cake. Stack and wrap, pretty straight forward. Why don’t we unwrap the present together? 1. 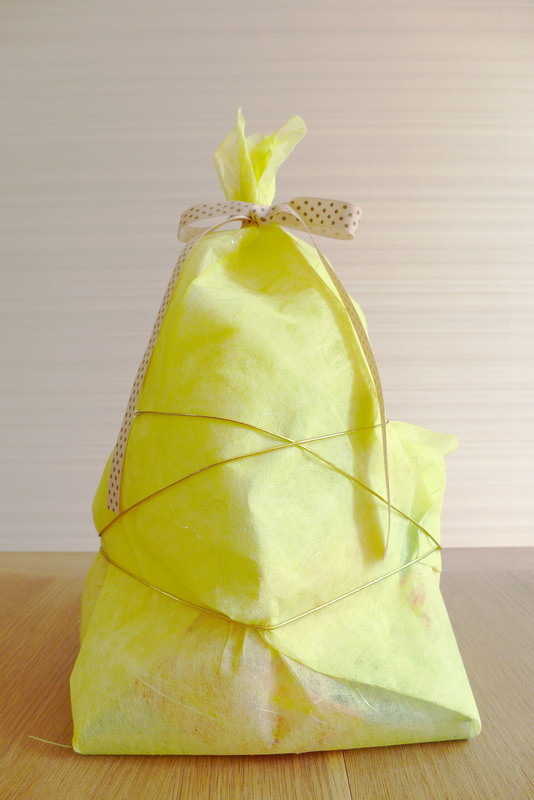 Here it is, wrapped up and secured using the elastic gold ribbon along the body, with a piece of polka dot ribbon to secure the top opening. 2. 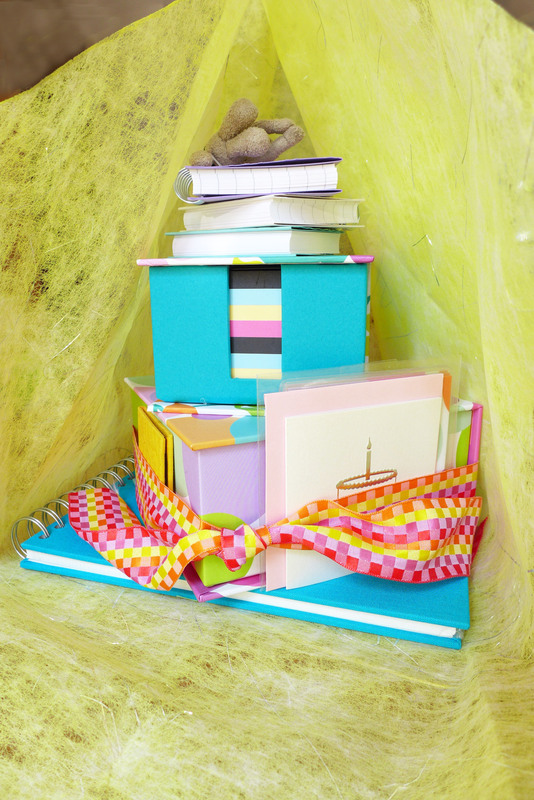 Undo the ribbons and take a peep inside! 3. Wow, it’s a 3-layer “cake”! 4. 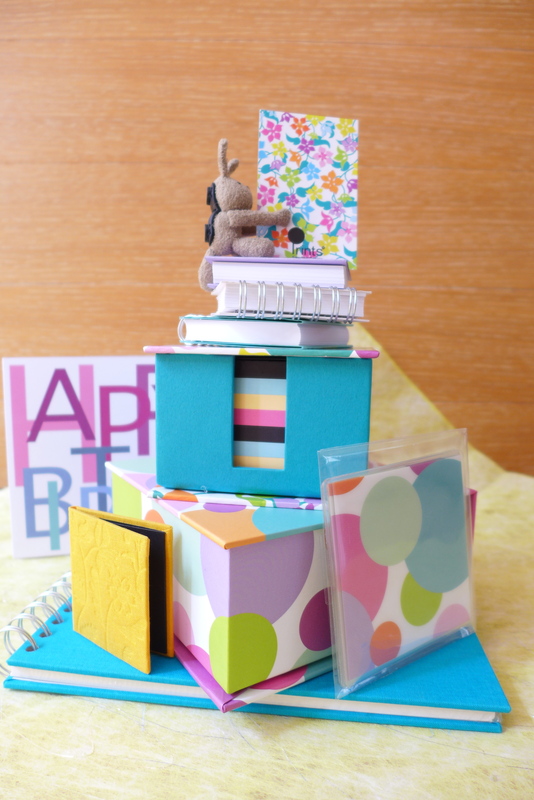 The Prints stationeries cake can double as a display item at the birthday party. Happy 10th Anniversary, Prints! 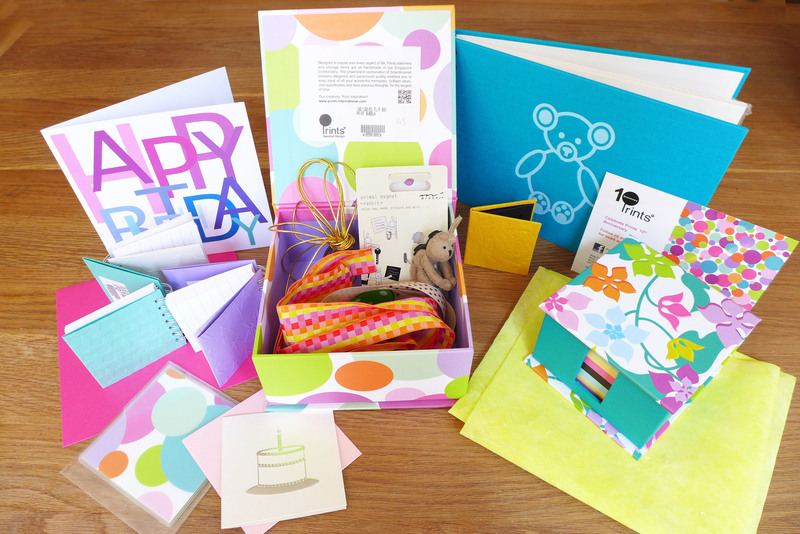 Tags: cake, Celebration, Creativity, D.I.Y., Gift Ideas, parties, stationery. Bookmark the permalink.